Dubai Police Close Investigation Into Death of Bollywood Icon - Integration Through Media ....! Authorities said the death of the 54-year old actress was due to drowning in her hotel apartment’s bathtub following a loss of consciousness. Dubai officials said they approved the release of her body to her family. Sridevi died Saturday night in Dubai while attending her nephew's wedding. Initial reports suggested she suffered a heart attack. Best known for her roles in Indian Hindi romantic drama films, including Chandni, Lamhe, Mr. India, and Nagina, Sridevi began her acting career at a young age and starred in over 300 films. 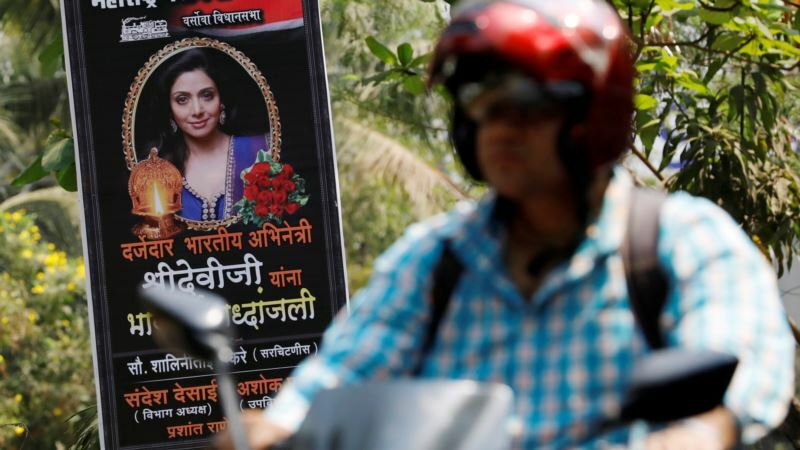 Many in the Bollywood film industry expressed their shock and sadness following the news of her death. “I have no words. Condolences to everyone who loved #Sridevi . A dark day . RIP,” actress Priyanka Chopra wrote on Twitter. “Ma'am, we will always remember you with love and respect,” actor Aamir Khan tweeted.